The people of Muslim-majority Indian occupied Kashmir are not the only people seeking independence from Hindu fascism. Nepali Gorkha Hindus living in Indian West Bengal state have also been fighting for an independent Gorkhaland for decades just like the struggle for an independent Khalistan state in Indian Punjab in the 1980s and 1990s. The current West Bengal government’s decision to impose Bengali language in all the schools from Class I-IX, has sparked a violent protest on Thursday in the Gorkha-majority Darjeeling. The army is called in to pacify the situation in the region. The demand for Gorkhaland is based on ethnic identity of over 10 million Nepalis living in different parts of India. “We want a homeland for ourselves ­–­ for our own identity. Although we are bona fide Indian citizens, we are still called ‘Nepali’. To get rid of the stigma we feel it’s essential that we have our own state,” Amar Singh Rai, Gorkha Janmukti Morcha (GJM) leader said. The chief minister of West Bengal Mamata Banerjee has threatened that she will not allow a second partition of Bengali land. Subhas Ghising (died in March 2015), a former Indian soldier, led an independence movement for a separate Gorkhaland state in 1986 which resulted in the death 1,200 civilians, before signing an agreement on 22 August, 1988 with the central and state government for creation of the Darjeeling Gorkha Hill Council (DGHC), an autonomous governing body for the hills. He chaired the DGHC till 2008. Ghising lived-in-exile from the hills after his GNLF was sidelined in early 2008 by the Gorkha Janmukti Morcha that spearheads the movement now. The struggle for Gorkhaland began in 1905 when British colonial authority partitioned Muslim-majority Bengal state. Darjeeling was a part of the Rajshahi division, which became part of East Pakistan on August 14, 1947 – now Bangladesh. “I hate Indians. They are a beastly people with a beastly religion. 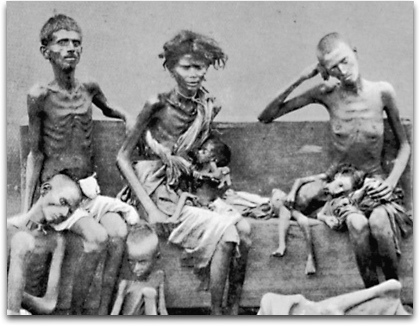 The famine was their own fault for breeding like rabbits,” said British prime minister Winston Churchill in 1943. In 1952, The All India Gorkha League submitted a memorandum to the then Indian prime minister Jawaharlal Nehru demanding separation from West Bengal. Since its independence from British Raj on August 15, 1947 – there are close to one hundred local resistance groups fighting against Hindu upper-class dominated Indian government. Most of these religious and ethnic minority resistance groups beget their violence from the rising Hindu religious terrorism based on racism. These groups operate in Assam (31), Nagaland (21), Meghalaya (5), and Occupied Jammu & Kashmir (34). Two of India’s prime ministers, Indira Gandhi and her son Rajiv Gandhi (d.1984) were assassinated by her Sikh bodyguards and a Tamil Hindu woman (here).